During the last four and a half decades, Jim Bartholomew has been an Entertainer. From his earliest days growing up in a working class Polish neighborhood on the Northwest side of Chicago, and suburban Roselle Illinois, Jim has considered among his foremost influences the great crooners of popular music, the singers and songwriters of Rock ‘n’ Roll, Rockabilly, the British Invasion, Country and Western, Polka, and Soul Music. Jim’s first instrument was the trumpet with which he accompanied his accordion playing mother, and the school band. Jim picked up the guitar and began performing in small folk clubs in Chicago. Through his late teens, twenties, and thirties Jim performed not only in those small clubs but also on some of the largest stages in the nation. He has appeared on stages with some of the largest names in the Country and Rock fields. He has also distinguished himself as the featured singer in some of the most popular bar bands in Chicago. His vocal style blends the soulful styling’s of Motown and Memphis as well as the gritty sounds of Cajun New Orleans, Blue Chicago, and the heartfelt Roots and Americana music. Jim is a consummate songwriter, his songs are creative, honest, stories about real people, places, and the the deep emotions we all feel. 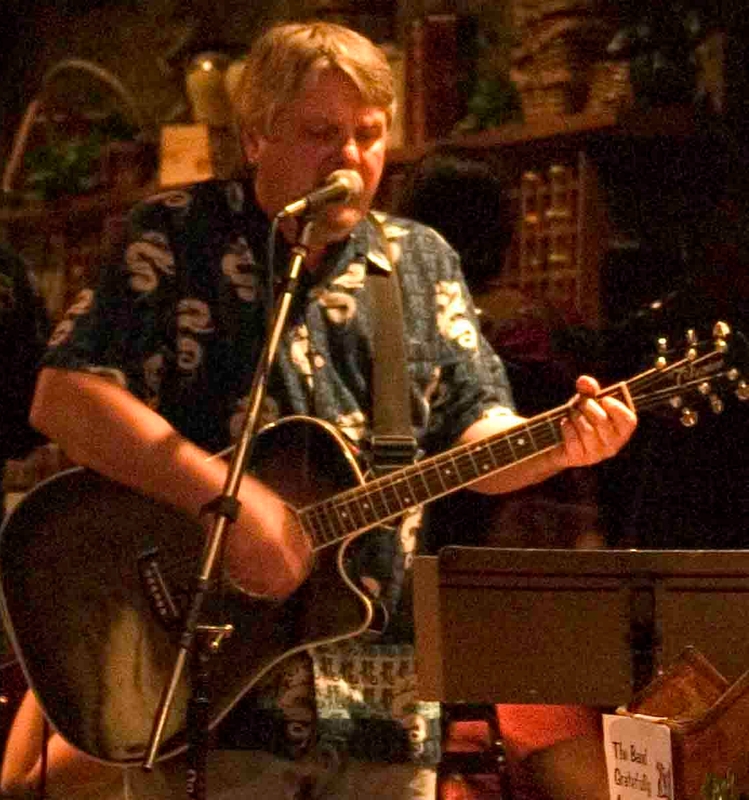 Jim’s repertoire covers generations and his catalog is vast and eclectic. His set list is fluid and molds itself to the wishes and vibes of his audience. He captures that audience with his quick wit, solid guitar playing, and soulful voice. Sign up for Jim’s free newsletter!